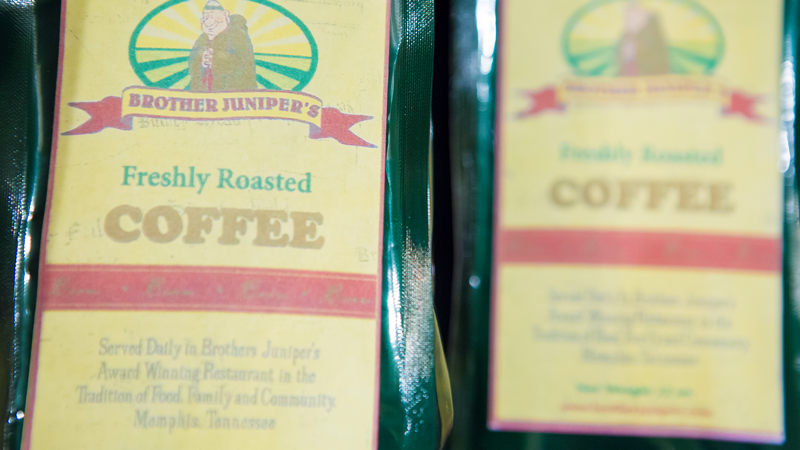 Brother Juniper's Fresh Roasted Special Blend is a dark brew that is roasted locally and served at the restaurant daily. Buy a 12 oz. bag today and brew coffee just like Brother Juniper's fabled restaurant! 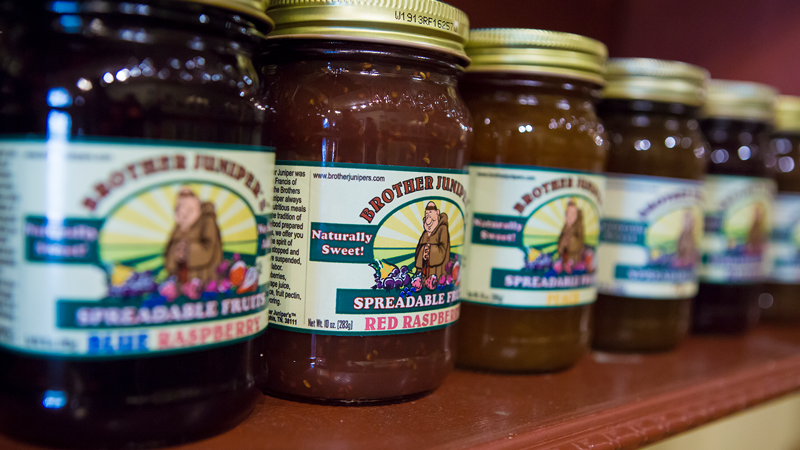 This vinegar based barbecue sauce has complex properties. First you taste the sweetness, then the spice, followed by the full body of a rich barbecue flavor. This precise blend of seasonings wowed the judges at Memphis in May International Barbecue Festival and has 1st place multiple times through the years. 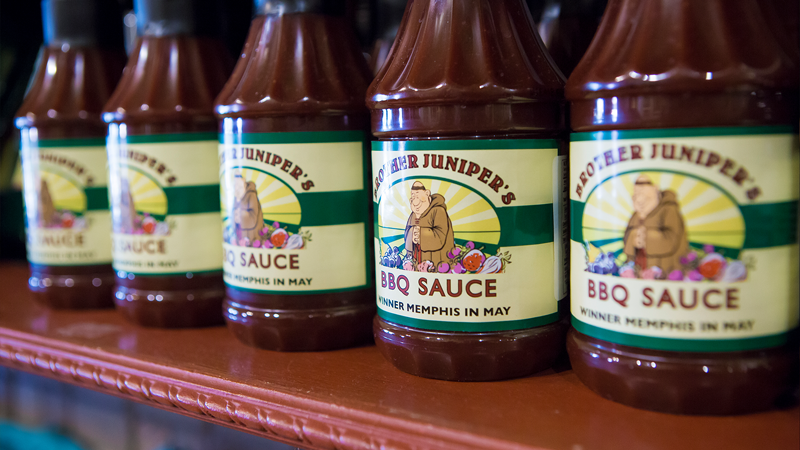 Grab some of our award winning Brother Juniper's BBQ sauce along with our Louisiana Chipotle Hot Sauce and Garlic Hot Sauce. Great for those who like it hot! Ingredients: water, apple cider vinegar, special seasoning, granulated garlic, red pepper 40k ground, tomato paste, molasses, worcestershire sauce single strength, lite brown sugar, chipotle sauce, salt. 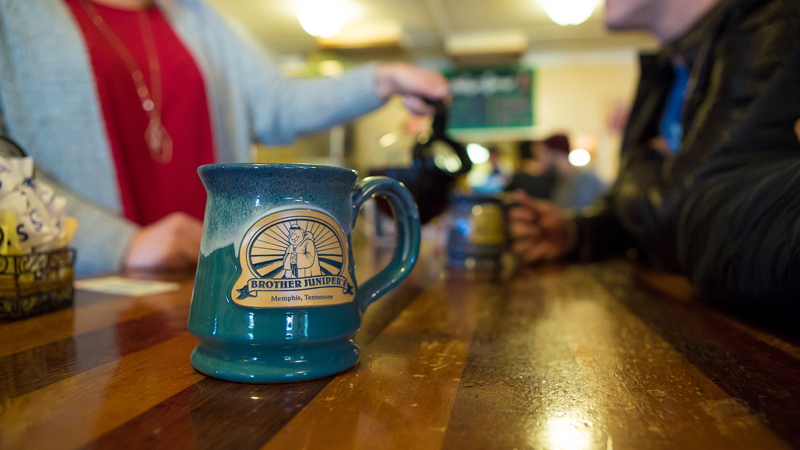 A local Memphis artist hand-painted the image of Brother Juniper on our ceramic coffee mugs.